Christine acquired Burchett Law* (formerly known as Kearney Law Office) in October 2014. This acquisition provided growth and opportunity for Christine, while maintaining work-life balance. Christine’s legal focus is, like Neal’s, in Real Estate, Wills and Estates, and Business Law. Christine possesses years of legal and commercial transaction experience, gained within national and global companies, public service environments, and as an independent consultant. Originally from Hawaii, Christine began her professional career as an electrical engineer with Boeing. Christine successfully transitioned to a career in law and after working abroad, moved to Ontario in 1998 where she leveraged her legal and engineering experience at a global aircraft manufacturing company by successfully facilitating and leading new and used aircraft sale, lease, acquisition and associated financing transactions world-wide. Christine holds a Bachelor of Science Degree in Electrical Engineering from Gonzaga University and a law degree from Seattle University School of Law. Christine successfully pursued her license to practice law in Ontario and willingly traded a career in a large corporate environment for a more balanced life working in her own law firm near her home. Christine is an enthusiastic snowmobiler, a voracious reader, enjoys the practice of Aikido, and is a life-long supporter of wildlife and wildlife habitat conservation efforts. 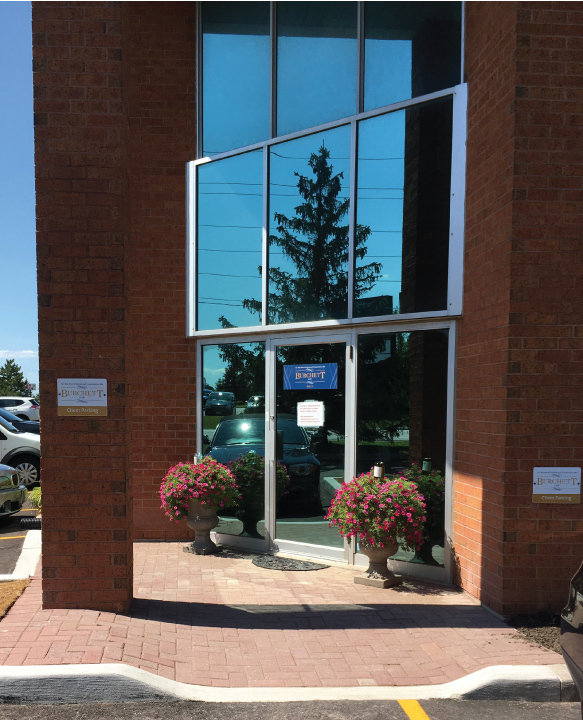 Neal Kearney was a long-time member of the Law Society of Upper Canada and was the founder of Kearney Law Office (now doing business as Burchett Law*), a thriving 30+ year Newmarket law practice. In typical “Neal” fashion, he began “planning” his transition from practice as soon as he was diagnosed with cancer. Neal’s plan was simple – ensure his family and friends were taken care of. A big part of this plan was ensuring he chose the right person to take over, and to take care of, his law firm, his clients, his colleagues, and his friends. Neal ultimately chose to hand over his law firm to Christine Burchett and her law firm, CL Burchett Professional Corporation. Christine possesses years of legal and commercial transaction experience, gained within national and global companies, public service environments, and as an independent consultant. Although Christine only knew Neal for nine (9) short months, she was, and remains, deeply honored by Neal’s decision to hand over what was a vital part of his life. Christine, with Neal’s agreement and support, chose to retain the full flavor and focus of Neal’s law firm, as well as its indispensable team, the latter of which contributed to, and continues to be integral in, the success of Neal’s law practice. Burchett Law* thus remains an active and thriving Newmarket law firm and continues to provide the same legal services – Real Estate, Wills and Estates, and Business Law, with care, candor and competence.